Add some bling to your desk top with this wooden pen stand. It’s a perfectly square shaped wooden pens stand with that glossy finish. 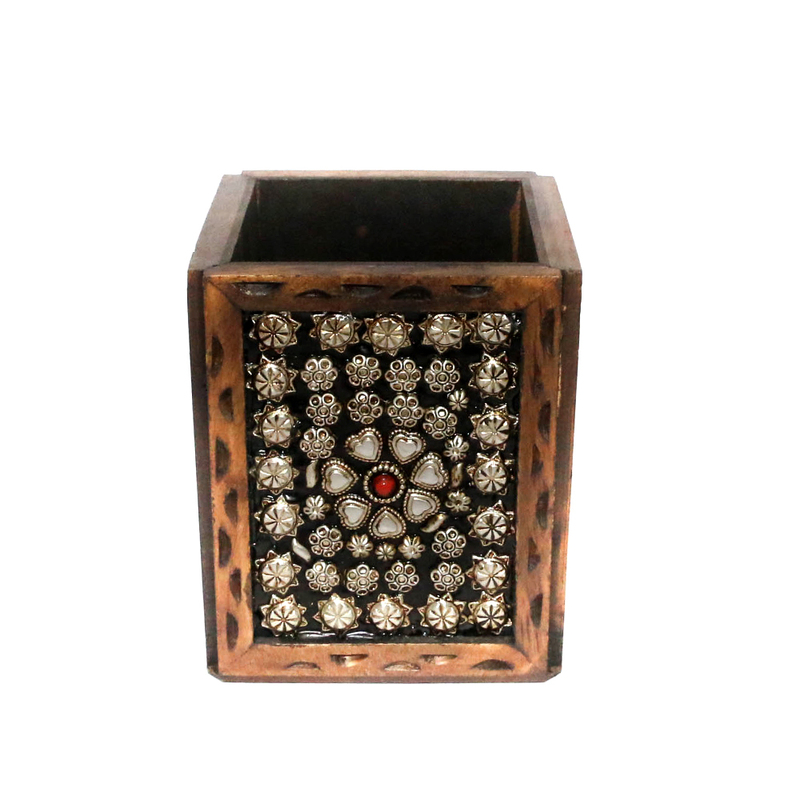 It Read More..is studded with crystal stones on each side which add that bling to it. The stones are set in place and won’t fall off over time. This item is a perfect piece of gift for that nerdy sibling or friend of yours. Show Less..